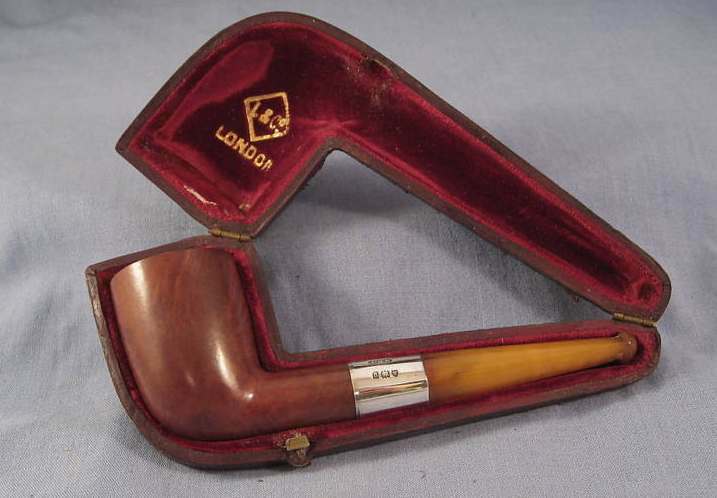 A pipe for tobacco smoking typically consists of a small chamber (the bowl) for the combustion of the tobacco to be smoked and a thin stem (shank) that ends in a mouthpiece (the bit). 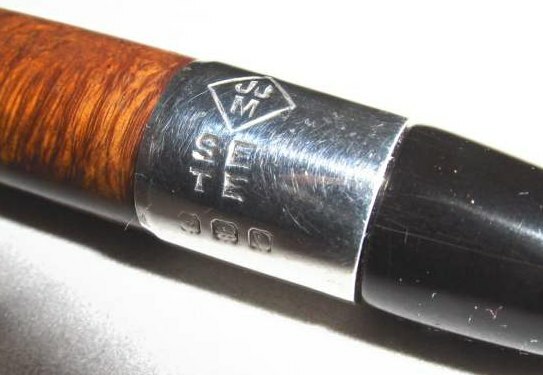 The stem needs a long channel of constant position and diameter running through it, and this is difficult to carve out of a pre-existing block. 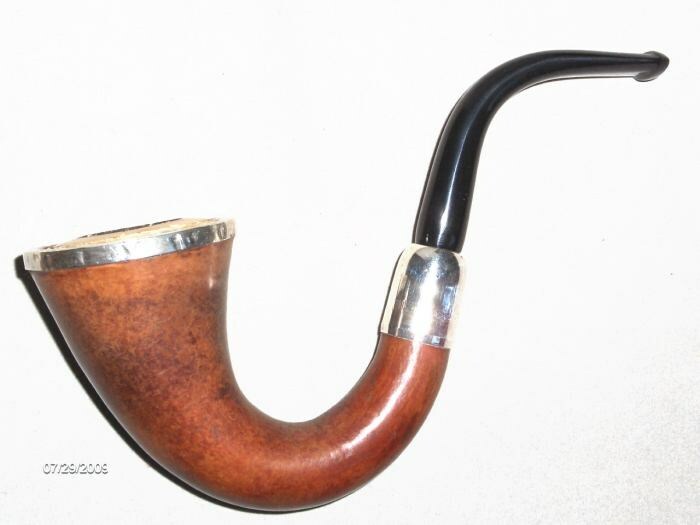 Because it is molded rather than carved, clay may make up the entire pipe or just the bowl, but most other materials have stems made separately and detachable. 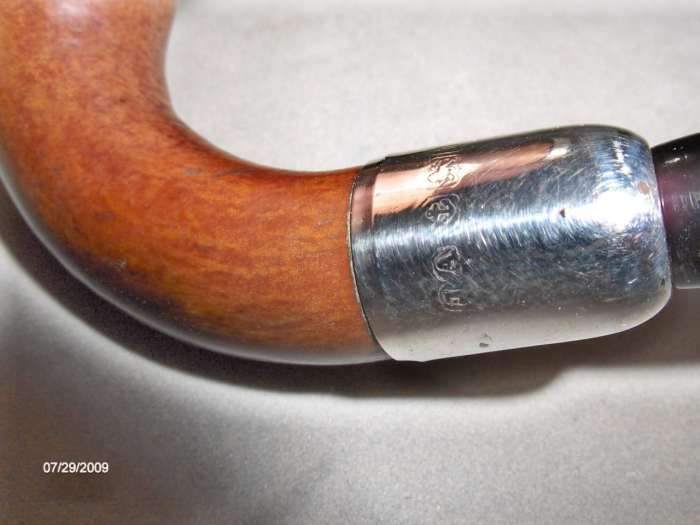 Often a silver band is used to connect the bowl to the detachable stem. 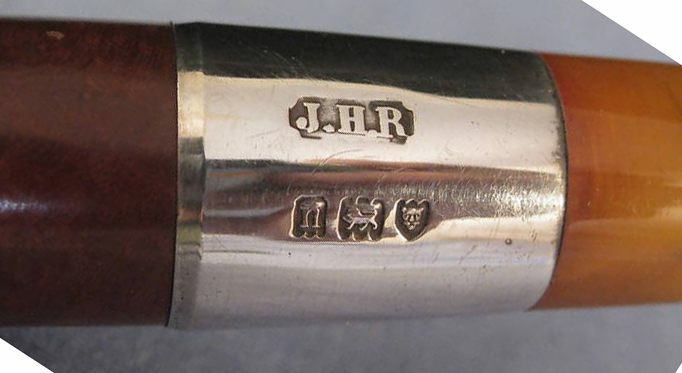 In the UK, sterling silver spigots (or ferrules) bear Assay Office's hallmarks which allow to date the pipes and obtain information about their maker, mounter or importer. 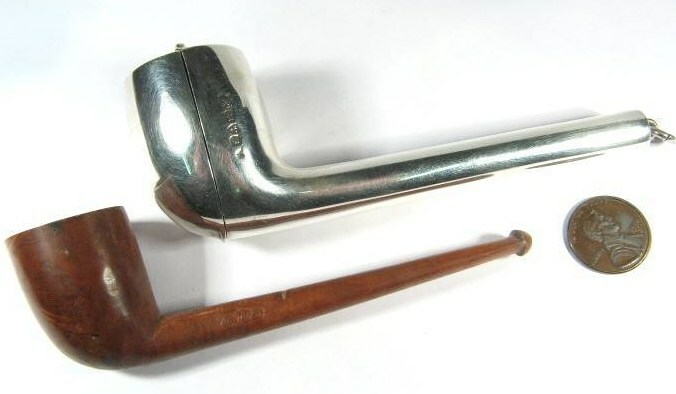 In most cases these objects weren't presented to hallmarking by silversmiths but by importers, retailers and pipe mounters who were identified in Assay Office's ledgers as "tobacconists", "pipe makers" or "pipe mounters". 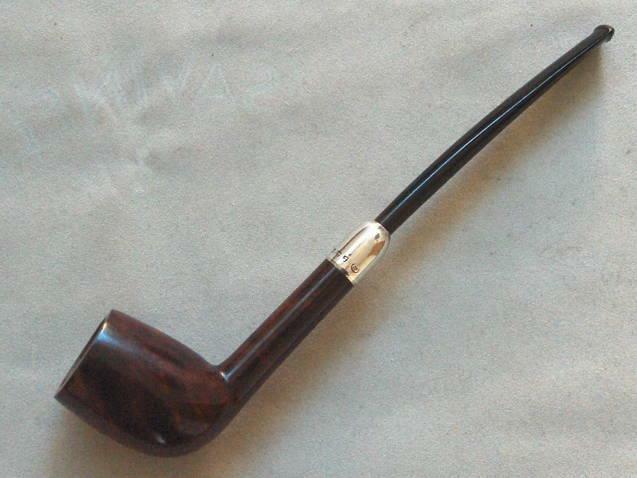 The tobacconist is an expert dealer in tobacco in various forms and related accessories as pipes, lighters, matches, pipe cleaners, pipe tampers, ashtrays, cigar cutters or "novelties".